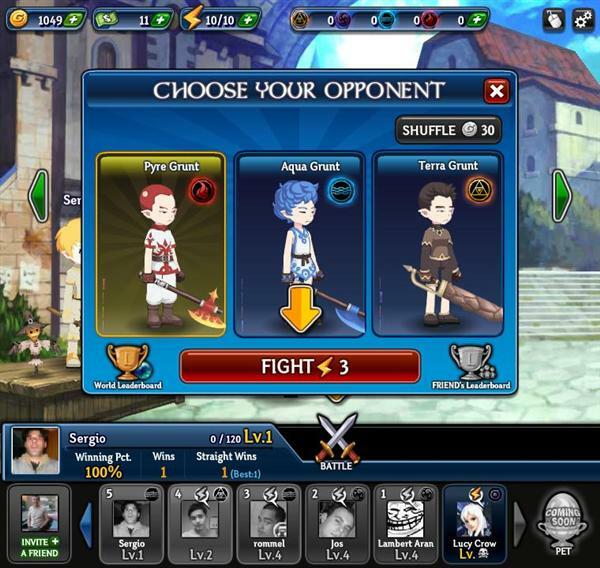 Soul Crash is a new online social game on the Facebook platform where users can battle with and against their friends and foes, fight bosses, and go on fun quests! 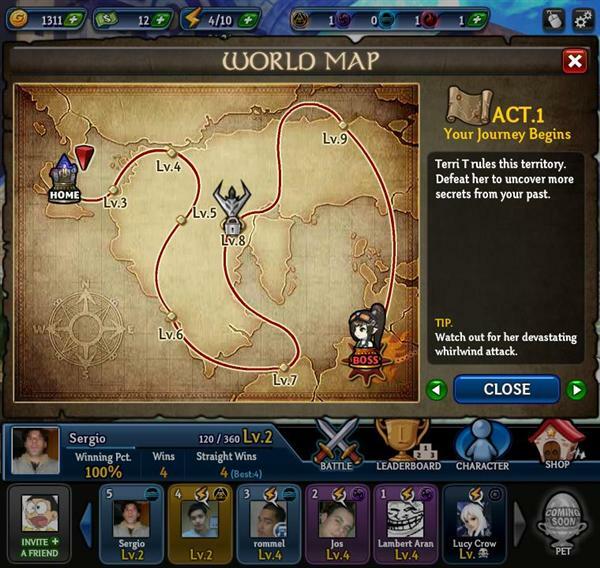 Brought by Playplus and Gaia Online Interactive, producers of titles like Monster Galaxy or Summer Springs. 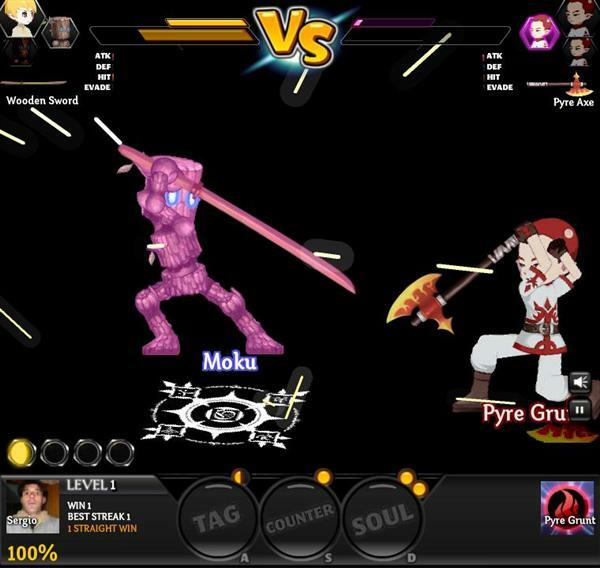 Challenge your friends to furious tag-team battles in the first real fighting game on Facebook. 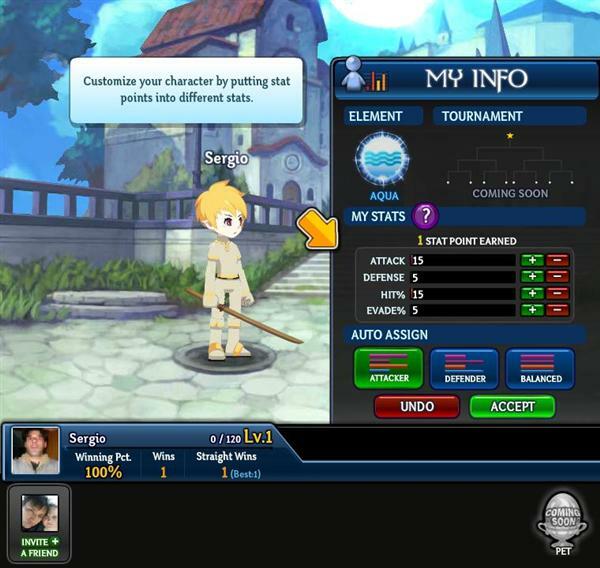 Immerse yourself in stunning anime-themed graphics, spectacular moves with amazing visual effects, role playing elements and unravel the story of the 4 elements! 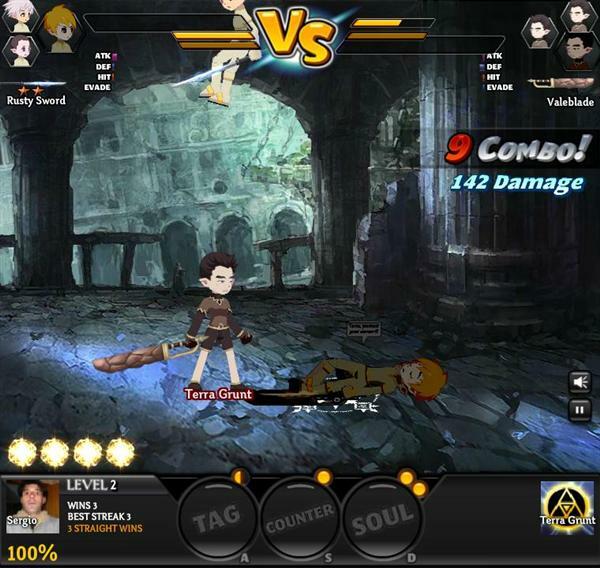 Soul Crash actually lets players fight in real time, with fully animated graphics, moves and real time actions that actually make a difference. 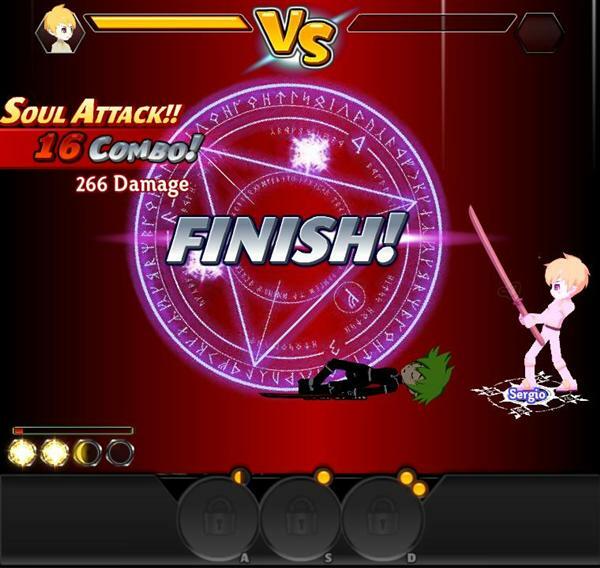 While most part of the fights are automatic, where you will watch your character fight against the several opponents, meaning you won’t move or jump, you have to perform timed actions while the fight is going on, each move will fill up your soul orbs, and you can use this to perform special moves or tag team members, you have to use the three buttons labeled TAG, COUNTER, and SOUL (or the keys A, S, or D, respectively) – but notice how timing can affect the results! Tag switches up the fighters and applies the tag combo when appropriately used. Counter instantly strengthens you up to overcome your opponent’s defenses in a powerful attack. 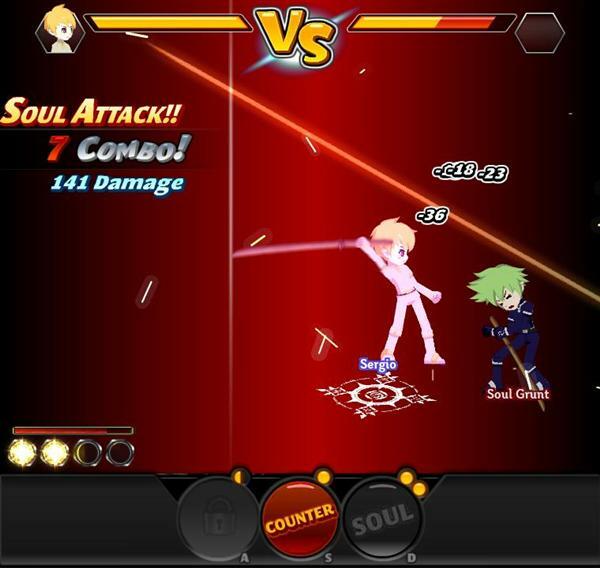 Soul makes the fighter invincible and the weapon doubles in size, giving your attack maximum damage. Timing is everything, since a badly timed special move can completely miss its target and leave you at the mercy of your opponent. Combos are successful attacks made to an opponent’s character. One successful attack made by your character to your opponent’s character counts as one combo for you. Consecutive successful attacks are then added onto your Combo count. 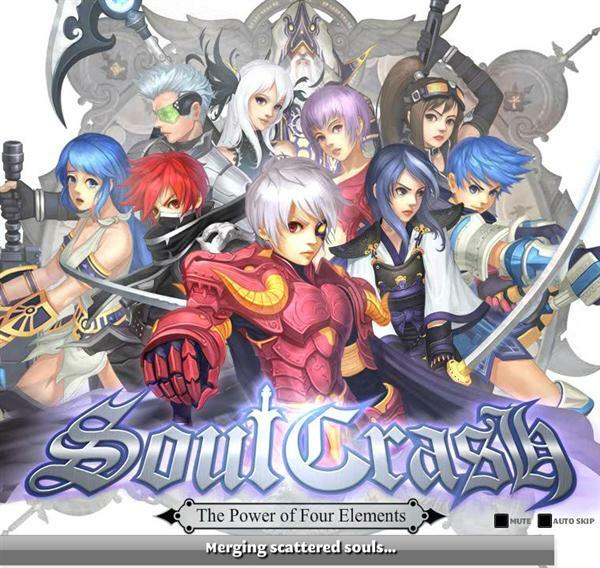 Although Soul Crash is basically a fighting game, there are other interesting features to mention, like the ability to enchant weapons, or collecting the four element stones as a long term goal, which are Mystral, Terra, Aqua, and Pyre. They are roughly equivalent to Air, Earth, Water, and Fire. 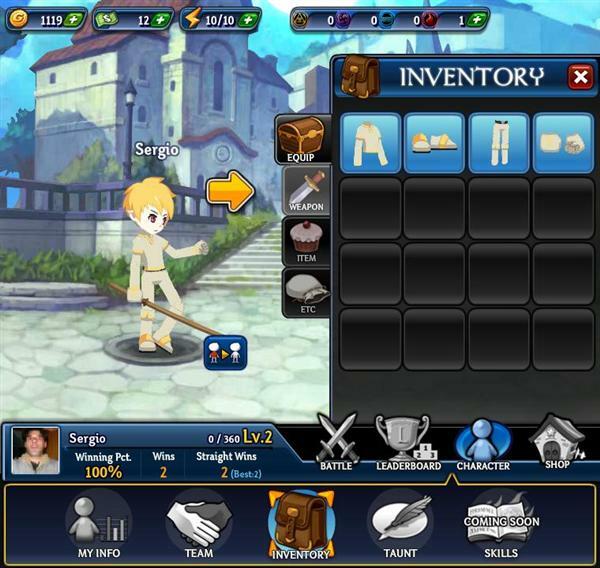 For now, you can play with your Facebook friends as characters in the game. Use them as allies on your team, or battle them in fights to hone your skills. There are plans to implement PVP real time features from developers. Additionally when you run out of energy, you are able to gain +1 energy upon visiting your friend’s street. 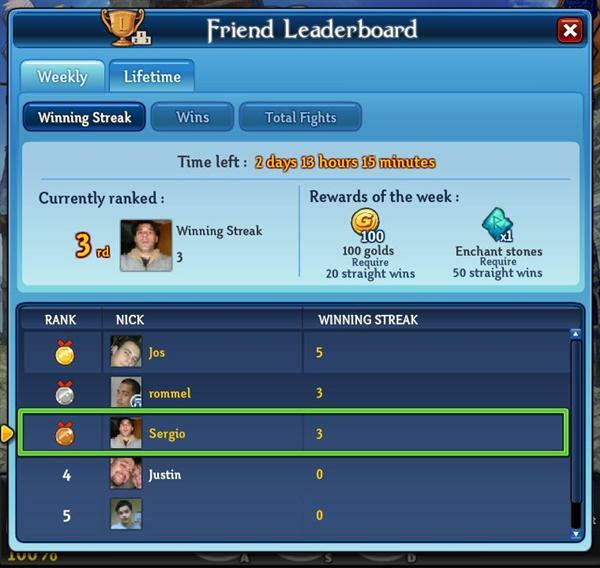 This can be done by clicking the characters in the streets, or by using the visit tab on your friend’s list on the bottom of game screen. If you reach your friend’s street, click on the scarecrow to receive the free energy. Energy can be seen as the weak point of Soul Crash, it runs out to quickly, and the only option is to try getting some from visiting friends or spending real money to recharge, also enchanting can be quite expensive for a Facebook game. Overall Soul Crash is a good looking and fast paced action fighting game, with lots of potential but with some adjustments to be done. Facebook Fan Page – For news, events and updates. Related Tags: Fighting, Role Playing.